After a bitter divorce from her unfaithful husband, Paige moves from Utah to California with her two little boys and vows to make a fresh start. She finds a job at a dental practice that helps her get back on her feet, but it’s the friends she makes at her new book club who help her realize how strong she is and who give her support to carry on as she faces the challenges of being a single mom. She also meets Derryl, a wonderful, kind, attentive man who treats her right—something her ex never did. Yet, Paige struggles to figure out who she is as a woman rather than a wife, how to help her boys adjust to a broken home, and whether she can ever trust a man or love again. As Paige leans on the book club ladies and Derryl’s ever-present care, one thing becomes clear: healing from the past requires more than a change of address. to have some support and help out with her two sons if ever necessary. a flyer needing ladies for a book club she responded thus began building friendships. She also met a wonderful man during a lunch in the cafeteria of her business building. That friendship grew into a relationship. she is Capable of making them. The beginning of the book and through the middle is very intense and I couldn't wait to get to the next page. good with a lot of good insight. Well worth reading. IT WAS TOTALLY CLEAN! Number four finds us in the home of Paige, a Mormon divorced mother of two little boys. She has recently moved from Utah to California to be near the parents of her Ex-husband. This is a wonderful story about a woman who has had her whole world go up in smoke. I am finding this series a very fun adventure. Even though we know generally where the story is going to go, the feelings always feel real and new. After reading the first book in the series we know that Olivia gives a box of costumes she has made to Paige for her boys. But we now hear the story from the point of the woman in need. How she feels knowing that Halloween is coming and she can't afford costumes for her kids. She does not know what she is going to do. I have felt that way before. I knew the feeling of not being in need, but living on faith. This is definitely my favorite so far of the Newport Ladies Book Club series. I really connected with Paige in so many ways and found myself laughing and crying with her as she hit the highs and lows of her everyday life. I feel that even though Paige is the youngest of the group, she is the most spiritually mature, and from an eternal perspective is able to see the challenges and heartaches she faces. I saw bits of myself woven into this character and found her reacting to situations the same way I would. I have loved getting to know each of these characters more deeply as they star in their own book. This book is very real, and a sweet addition to the series. Another great read for this series! 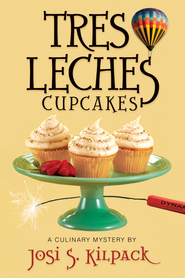 This is book 3 of the Newport Ladies Book club. 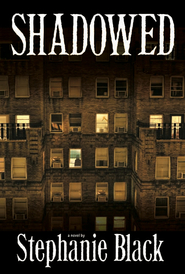 There are currently 4 books to this series with 4 different authors. What I like about these books is that they can be read as a series or stand alone individually as books. So far the 3 books-Olivia, Daisy and now Paige have taken place during the same time period. Its really cool to read about some of the same events from the different womens views. I like that these books are Christian based but not preachy-just great clean fiction! Paige is a Mormon-which none of the other ladies are not-so this particular book has more religious (specifically LDS Mormon) references. I love that this character seems realistic and has real problems that alot of women experience and face. I love that these group of women in the book all have trials but are able to help each other and use the spirit of sisterhood and service to develop their friendships in and outside the book club meetings. This book flowed and was very easy to read-I read it it one night because I couldn't put it down!! I can't wait to read book 4-Athena!! After a bitter divorce from her unfaithful husband, Paige moves from Utah to California with her two little boys and vows to make a fresh start. She finds a job at a dental practice that helps her get back on her feet, but it's the friends she makes at her new book club who help her realize how strong she is and who give her support to carry on as she faces the challenges of being a single mom. She also meets Derryl, a wonderful, kind, attentive man who treats her right, something her ex never did. Yet Paige struggles to figure out who she is as a woman rather than a wife, how to help her boys adjust to a broken home, and whether she can ever trust a man or love again. As Paige leans on the book club ladies and Derryl's ever-present care, one thing becomes clear: healing from the past requires more than a change of address. Paige draws the reader into the story from the first sentence, and held my attention throughout the whole book. I had a hard time putting it down to take care of my own duties. I found myself crying alone with Paige as she experienced her painful moments of sending her boys off to visit their father, and cheered for her as she found new friends in the book club. I enjoyed the journey of learning more about Paige, watching her growth as she learned to deal with her "new life", and getting to know the other characters through Paige's views. This is a book that will be read several times as I feel the need to visit a friend. The Newport Ladies have yet to disappoint. Paige is another insightful read. I want to be friends with all these women. I know these women. This is yet another relatable tale. The way the Newport Ladies authors have written these books so cohesively is marvelous. I want more. I have read all three of the Newport Ladies Book Club books and loved every one of them! This one was easier for me to connect to, being a Mormon mom! Luckily, I have not been in her situation, but I sure had enough information to understand better how she felt! I read tons of books, so I have no problem diving into a book that is just seen from another person's perspective, because I don't have the other two books memorized! I understand why others might not enjoy them due to that, but I really like seeing things from everyone's perspective, so I can see why they did what they did! I cried with Paige when she had to leave her kids behind. Well, I sobbed! I had just had my baby, so I blame my crazy hormones for that. I can't imagine having to leave my children for that long! It's hard enough going to school everyday! I'm glad that it ended the way it did, because I worried about her in a relationship so soon! Sometimes it can be great, but this one ended well! Paige is another strong offering from Annette Lyon and for The Newport Ladies Book Club. From Olivia, and Daisy I was able to catch a glimpse of the woman that Paige was, and I really liked her then. Reading her own story made me appreciate her even more, and also the other ladies through Paige's eyes. At the first book club meeting there is always the first impressions of each character. I love going back to those meetings through a different character's view point, to see what she thought of someone that first night, and after that. It shows each of their journeys, and it helps me appreciate each character more. I LOVED this book. I do not rehash the story lines in my reviews but like to tell you how I reacted to the storyline and personalities in the book. That said, I could not put this book down. I was really drawn into the story. This was written well and so easy to read. The characters exemplified the personality traits of everyday people I am actually friends with. One of the things this reader appreciated the most, was retelling of the baseline story in the series. I did not get the affect of having read all this before as I did somewhat in the book “Daisy” in the series. I can recommend this as a really good read and worth your time. In conclusion, I am really enjoying the books in the series and concept of learning more about each woman and her background story. Paige is the third book in the Newport Ladies Book Club series and is written by a different author as all the books have, and will be. While reading about Paige it was interesting to see that Olivia, Daisy, and also Athena (that book comes out around November) seem to lean on Paige and confide in her compared to each other. I learned far more about Athena as well in this book then I did in the other two. Paige is a strength for single mother's and divorced women out there. If you are one of those women then you should pick up this book and realize you are special and important, not just to your kids, but your family and friends! You are AMAZING! I fell in love with Derryl and what a wonderful character he is. Doug I definitely disliked! What a creep, and not just to Paige, but his own boys! I enjoyed watching the friendship blossom between each of the very different women. It was a fun and insightful book. Friendship is what everyone needs, and who knows you might get your next friend attending a book club. Follow Paige this time around and take in some romance, drama, heartache, and a mothers love. This one was my favorite so far of the Newport Ladies Book Club series. I love it when an book is emotionally spot on. I didn't know how I'd feel in the situation until I read my own feelings on the page. That happened again and again in this book! Not the perfect, storybook ending, nothing trite or cliche; just real life situations and a strong woman who struggles through and is better because of it. Pick this one up, you won't be sorry! 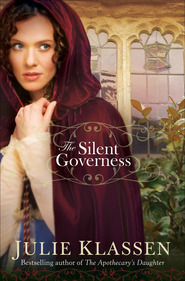 I enjoyed reading about Paige in this third book of The Newport Ladies Book Club series. It has been interesting to get to know the individual members of the book club and review the same events from each perspective. Paige has been through a divorce and moves to Newport to start over with her two young sons. She remains faithful through her trials and learns what is truly valuable to her. Friendship and forgiveness are themes in this book. Paige was a little tough to read—we all know a single mom that we watch struggle with the challenges of money and time and guilt. For me, it’s my little sister. I thought Annette Lyon approached this topic bravely and compassionately, and I really enjoyed watching Paige grow and find herself—being able to identify herself as a person instead of through a man. She faces some pretty tough choices, and handles them gracefully, although they were often painful. The place she found strength was through the women in her book club, and as I’ve read through the series, I have been so impressed by the way the women affect each others’ lives. My favorite thing about the series is seeing the women from each others’ different perspectives, and then finding out the truth about them. We all judge and compare ourselves to other women, and no matter how different we are, there is always something that we can learn or a way that we can grow by our associations with other ladies in our lives. Paige is in places funny, and in others, heart breaking, but overall, I loved it, and I came away feeling uplifted. 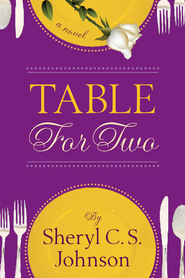 This is the third book in a series of four stand-alone books, by four different authors. They are all from the same time period and the same book club meetings. But only with reading all 4 books, will you learn the whole story of each of the women. It took me until this time to realize that although I had read about Paige I didn’t have a clue what was really going on in her life. Then I thought back to the other two books – Olivia and Daisy. Reading those books brought a deeper understand about each of them. While reading these books I have met the women from the book club, the way I meet those women at my book club meetings. Reading about the same incident from one women’s point of view is way different than from someone else’s point of view. We can be at the same meeting and what happens in our eyes is different than what the other person sees. 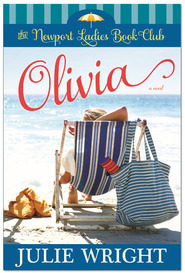 When I read Olivia I discovered that on the outside she was a perfect wife and mother, but somehow along the way she had forgot to develop her own identity. At first glance Olivia thought that Daisy’s clothes were creased in the right places, Athena had a look of togetherness about her, and Paige was young and sweet looking. 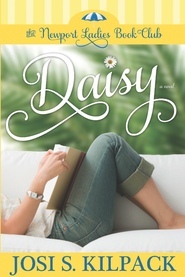 Then when I read Daisy she thought that Livvy (Olivia) was close to her own age, but she seemed flustered. Paige was very young and seemed a little overwhelmed, and Daisy envied her athletic body, but Daisy had a distinct impression that Athena didn’t like being put on the spot. Reading these three books I have found that there is more to Daisy and Paige than Olivia first saw. When Paige attended the first book club meeting she felt very insecure. Athena seemed to be a confident woman, Daisy was also confident and wore tailored clothing, and Livvy had a masklike smile and Paige felt that Livvy was holding in her emotions and might crack if she did anything more than maintain a polite demeanor. Paige with Nathan her three year old son, and Shawn who was six, fled to Newport, California to escape the people in Utah after her divorce from an unfaithful husband. Things are not easy for her. She finds a job which helps financially, but it’s the friends from the book club who help her realize how strong she is and who giver her support to carry on as she faces the challenges of being a single mom. This is a great book and I’m sure everyone will enjoy reading about Paige as she wonders if she can ever trust a man or love again. She learns that healing from the past requires more than a change of address. Paige, the third published book in the Newport Ladies Book Club series, was my favorite book in the series so far. Through Paige, Annette Lyon does a compelling job of showing readers how really difficult being a new single mother is. She adroitly show us how Paige must not only navigate a new job and a new place to live, but also navigate through the guilt, anger, and hurt she feels because of her recent divorce. I really enjoyed seeing the interactions of the women in the book club through Paige’s eyes. Paige had a knack of seeing those women with incisive honesty but then she would quickly take a mental step back and reevaluate her first impressions with compassion, a compassion she so desperately needs. Despite some rough encounters, I love how Paige and Daisy build a strong friendship through the course of this book. I look forward to reading the next book in the series. 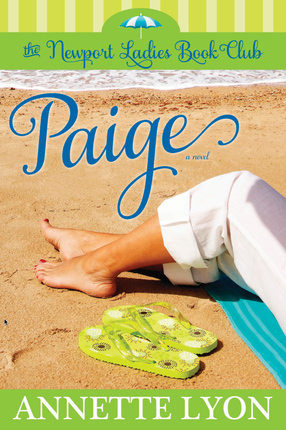 Paige, book #3 in The Newport Ladies Book Club Series is another winner! Each book in this series is by a different author, so not a sequel or prequel. They are really a shift in point of view that lets us not only see events from the characters observation, but lets us know their understanding and thoughts and interpretations—which are not always correct, by the way. Just like real life. The premise—looking at the same four months in the book club from four different points of view—is increasingly intriguing to me. It’s like when I learned that even though my sister and I were in the same place at the same time we certainly did not have the same experience, I realize these women are looking not just from different angles, but from very different eyes. Author Annette Lyon, a much published writer and editor, treats her subject with her usual clarity and thoroughness. Since Paige is the only Mormon in the group, Lyon gets to explore her reactions to her life experiences as well as the books they read with the mantle of faith and understanding. I find Paige’s journey most interesting in relationship to her Mormon faith, and in life’s experiences. Lyon’s writing itself is delightful. Her cleverness with language sometimes makes me laugh out loud. I like her “koala hug” and her “blood supply to my head.” I like her description of a “hooded look” and I like seeing the 3-dimensional aspects of the characters because we are so closely aware of Paige’s great pain. After all she can do, her marriage has ended in divorce and left her with two little boys to raise alone. Certainly not the ideal Mormon marriage, is it? Again Lyon’s language “Who broke the covenants? Hmmm?” Oh, how human of us to wonder. What I like best about Paige’s struggles to adjust to life without a husband, is her ability to teach her book club friends about gospel principles—like life after death, for example, when Athena’s mother dies—but finds it impossible to talk about what she believes with Derryl, the new man from work in her life. Derryl is fascinating, handsome, considerate, funny, charming, thoughtful and not Mormon. And there lies the story. Paige’s experiences at book club again make me pull the first two books from the shelf to remember how Olivia and Daisy learned from the discussions. Again each book club book has personal messages for each character, but we get an ever increasing understanding of the books discussed as the characters absorb them. That’s a bonus for me. In fact, as Paige finds the notice on the bookstore window of the first book club meeting I can hardly wait to return to the friends I have met in the first two books. At some point, when all the books are on my shelf, I intend to read them one after another and enjoy them all over again. 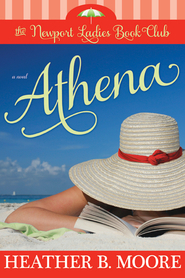 But for now, I can hardly wait for Athena, the fourth installment of The Newport Ladies Book Club. Paige is a young, single mom who has moved from Utah to Newport Beach with her two "little men" seeking a new life. Injured by the heartbreak and injustice of an unfaithful husband and friend, Paige learns that giving service and support to a group of new friends found in a book club, brings strength into her own life. As the only LDS member of the group, Paige has an objective understanding of the Atonement that she can strengthen others with, but has yet to apply it in her own life. I liked how Paige was not afraid to learn wisdom from women of other faiths. Although we feel Paige's soul-rending heartbreaks, the tone of the book is lighter and more hopeful. It ends as it should, though I'd like to jump a few years into the future. I think all of the authors have done a tremendous job blending their voices to give us a seamless story. This series would make a lovely movie. This is the third installment of the Newport Ladies Book Club series where we get to know Paige a little bit better. I was really looking forward to reading about Paige based on the glimpse I had of her in the other books, Olivia and Daisy. When I received instructions and information on reviewing this series, I was given the caution that not every book has a happily ever after ending. They weren't kidding about that. This women's fiction series deals with very real life situations and we all know that real life is hard and not always happily ever after. Even though I don't get that resolution and happily ever after ending, I always find a sense of satisfaction at the end of these books. The characters face troubles and heartache, make mistakes of their own and struggle to find their way. They rely on friendships to help them through. These women find strength to continue on and face life. That is admirable. Another thing I love is that each book happens at exactly the same time as the other books in this series. All these women attend the book club together, each drawn there by the idea of meeting new friends, sharing a love of books and trying something new. They come from different religions (Catholic, Mormon, Greek Orthodox and Jewish) yet they share a bond that carries each of them through the tough spots. Paige's story is not unique. Unfortunately. I know Paige (although her name isn't Paige). She is in my family. She is also the lady down the street. Paige's story will resonate and you will feel her emotions. I sure did. If you haven't had a chance to pick up one of the Newport Ladies Book Club series, you should. It doesn't matter where you start, each book will take you to the same place just with a different person. This is a unique series unlike any I've read before. It's a fantastic idea. Sometimes, we need to fall in order to be reminded how strong we truly are. But this can be hard to remember when we feel we have done everything we can to be our best, and we still end up hurt. Paige finds herself trying to adjust to a new life in a new town with her two young boys after her husband leaves her for his mistress. Amidst the heartbreak and bitterness, she joins a book club where she makes life-long friends and starts a new job where she meets Derryl, a man who actually treats her right. As Paige struggles to hold her life and family together, she becomes involved in the lives of those women from the book club and is reminded of the joy that comes in living a wonderful life. She is able to see change happen, both for those women and for herself, and begins to trust and hope again. PAIGE, authored by Annette Lyon, beautifully illustrates the pain of starting new coupled with the glory of freedom and the realization of truth. Despite all of her hard work and dedication, Paige’s life is turned upside-down - as ours so often is. However, she clings to her belief that God would not leave her alone and that He must have a plan for her. So, she carries on, mostly for the sake of her sons, and begins a journey into a new life as a single mom. 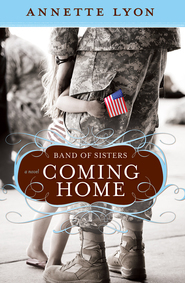 This book is simple in essence, but draws the reader in as a side-line cheerleader for Paige and her family. The story is heart-felt and readers will connect with the characters and follow Paige as she pulls herself up and becomes a better woman and mom for it. 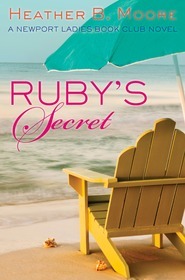 I completely enjoyed reading this addition to the Newport Ladies Book Club series. Annette Lyon wrote with just enough humor to keep things light along the way even though the leading character Paige is struggling with the challenges in her life. I especially loved her silent thoughts in italics throughout the story. As a mother I could relate to her tender feelings for her children and laughed outloud at times. Thank you for another wonderful read!